For me, cooking is a melding of art and science—it’s always fun experimenting with different recipes and ideas. The best thing about cooking is, you can always put your own twist and personality into each recipe, and make it your own. 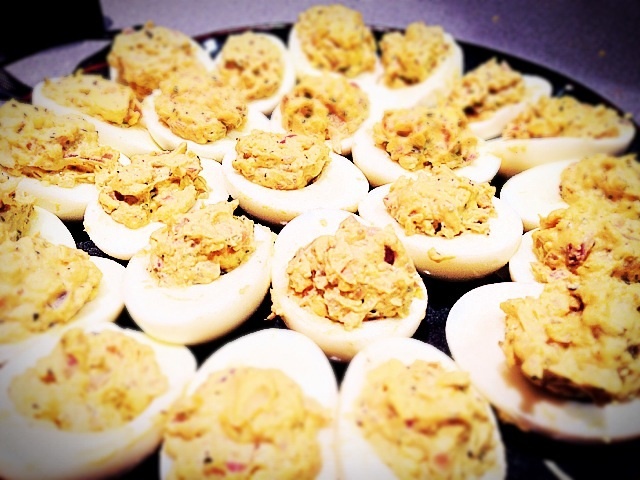 This past weekend, I decided to bring my own rendition of deviled eggs to a Saturday afternoon family BBQ in the mountains. I turned 12 dry, boring, hard-boiled eggs into a rich, creamy appetizer with a bit of onion, basil, parsley, thyme, mayo, and Dijon mustard. These bite sized treats are simple, tasty, and somewhat bright and artsy~ a modern twist to a classic European dish. Looks really yummy. 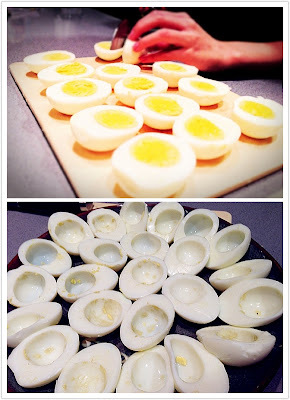 Sounds good to put many ingredients with egg yolk. Made me hungry. 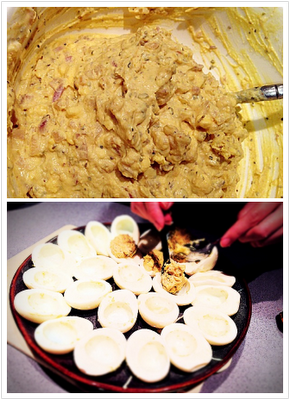 It does look yummy--I want a recipe!! I love making deviled eggs!!! Will I ever get to try them?